Filming on X-Men: Dark Phoenix is due to commence next month, that much we know, but one cast member that allegedly won’t be involved whatsoever is Rain, the South Korean singer and actor who became linked with an undisclosed role in the 20th Century Fox tentpole earlier this year. First reported by South Korean outlet JoongAng Ilbo – and relayed to us by Newsarama – a scheduling conflict has now forced Rain to exit Dark Phoneix altogether. Best known on these shores for his performances across Speed Racer, Ninja Assassin and The Prince, the news was initially revealed by fellow actor Lee Beom Soo, who’s set to star alongside Rain in the upcoming Korean thriller, Uhm Bok-dong. It’s scheduled to film throughout the course of the summer, thereby clashing with Fox’s own production plan for X-Men: Dark Phoenix. Not only that, but we understand that Rain is attached to play the title lead in Uhm Bok-dong, so it’s small wonder why the actor reached his decision to drop out of 20th Century Fox’s embryonic mutant blockbuster. The bigger question is, of course, who Rain was attached to play. At the time of writing, there’s no sign of a statement from Fox, and the studio is surely casting the net in search of a replacement. Simon Kinberg, meanwhile, is the latest director in contention to take the reins, and with production due to get underway sometime next month, we expect to have a firm answer for you sooner rather than later. There is one more speculative piece of information to present to you today, and it comes to us by way of Omega Underground. 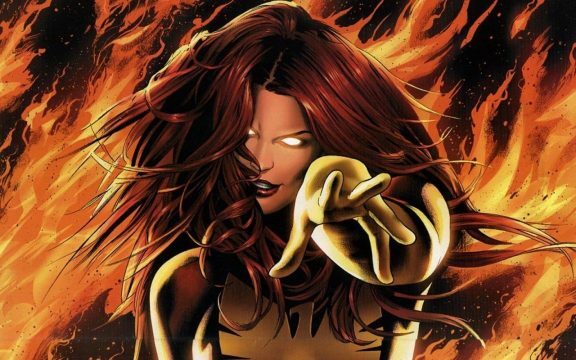 If you’ve been keeping a close eye on the pre-production process for Dark Phoenix, you’ve likely stumbled across some of Omega Underground’s findings – namely a series of alleged audition tapes for both the next mainline X-Men film and New Mutants. The latest actor to be linked with Fox’s cosmic (?) blockbuster is Toby Huss, who tested for a “bureaucrat/recon agent named Hoover.” Could this spell the advent of The Shi’ar Empire? If nothing else, it would lend credence to those claims suggesting Dark Phoenix will expand the core X-Men franchise into cosmic territory, but you can drop your own thoughts, comments, and potential concerns in the usual spot down below. X-Men: Dark Phoenix is expected to take flight on November 2nd, 2018.